In this new suspense thriller by Steve Jaffe, The Invisible Enemy, current events explode on the fictional page in a terrifying ride toward the ultimate destruction of every American household. The United States is finally seeing the war on terrorism coming to an end, utilizing their new secret covert bio-chemical weapon, Operation Genesis. Now terrorist cells and their top leaders around the globe are mysteriously ending up dead. Finally, the United States Military has a weapon that is not jeopardizing American lives while they decimate Al-Qaeda and other factions that are trying to kill Americans. Like all secrets, this one has been compromised. The weapon has fallen into the hands of a CIA operative, gone rogue. With his small terrorist cell, a leftover from 9/11, he has declared that within eighteen months he will set it loose on every American on September 11th, dedicating their victory to the Martyrs who destroyed the Trade Towers and Pentagon. An investigative reporter, Grant Reynolds, has found out about this secret government program and that the weapon, Operation Genesis, has been stolen by a terrorist living somewhere inside the United States. Once Reynolds dives deeper into the confidential documents he was given, he realizes that he has an unpredictable can of worms that the current administration is covering up. As the FBI, CIA, and the President try keep this explosive problem under the radar, Reynolds cannot. 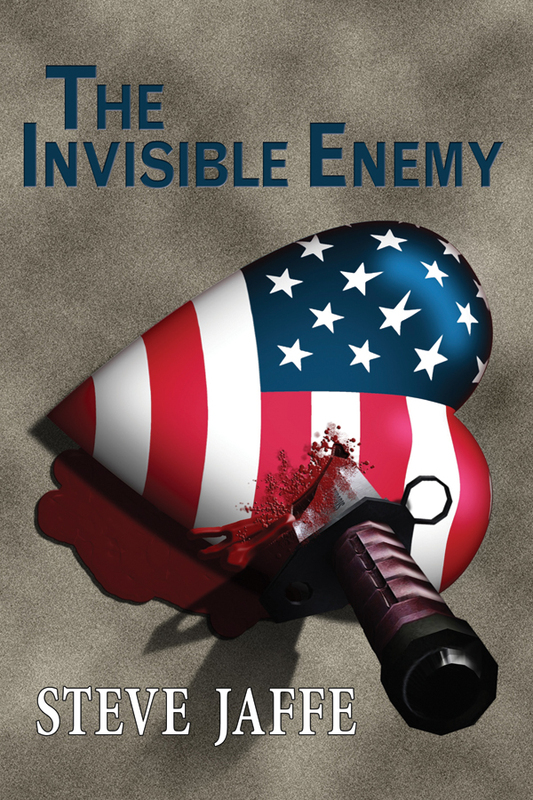 While The Invisible Enemy is a fictional story, Jaffe uses his years of experience as a business owner of a direct mail advertising company to add some horrifying realism about the vulnerability within the U.S. Postal System that a terrorist could exploit. © Copyrights 2010. SteveJaffeBooks.com. All rights reserved.